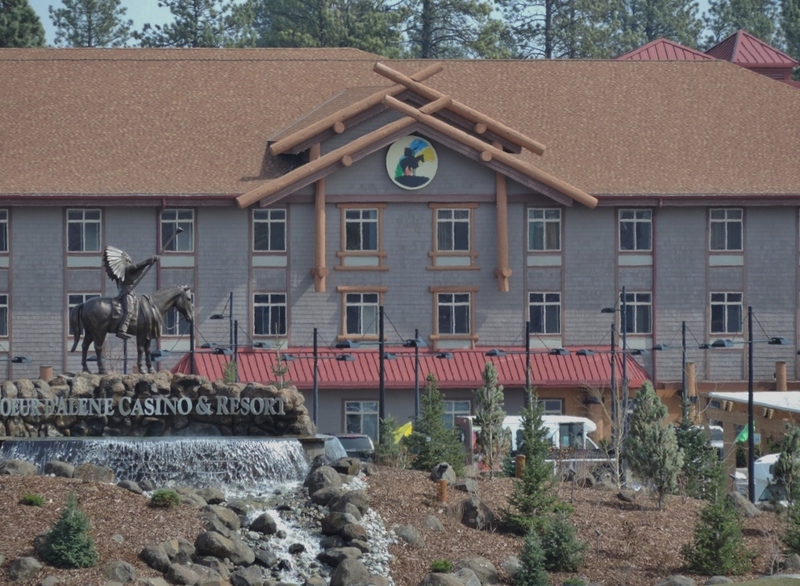 Coeur d'Alene Casino is located north of Worley, Idaho, 44 miles from Harrison. It takes a little more than an hour to drive there on rural roads. Some online services say it's eight miles, which is as the crow flies (over the lake). Besides gaming, there is live music, restaurants & lounges, shopping, a golf course, and spa to enjoy at the resort.